Dr. Maurice Edwards is a talented oral and maxillofacial surgeon, whose state-of-the-art practice in midtown Manhattan has earned him a reputation for innovative and compassionate patient care. Providing everything from routine tooth extractions to biopsies of potentially cancerous lesions, Dr. Edwards possesses the knowledge and dedication to address your oral surgery needs. Contact his New York office today to arrange a personal consultation. Because Dr. Edwards is certified in anesthesia, he will personally ensure that you achieve a comfortable level of sedation prior to your procedure. Sedatives produce effects ranging from mild to deep depression of consciousness, and for a complex oral surgery, general anesthesia may be used. Dr. Edwards will guide you in choosing the anesthesia option that will best serve your needs. Routine extractions are performed when extra teeth, or those that have been severely damaged by decay, are removed from the mouth. By preventing infection from spreading, tooth extraction preserves the health of the remaining teeth, gum tissue and jaw bone. Oral surgery is performed to remove wisdom teeth, which can become impacted, causing painful dental crowding. Because the pressure exerted by developing wisdom teeth can cause existing teeth to shift, removing the unnecessary molars is a method of relieving discomfort while maintaining proper dental alignment. Pre-radiation extractions are performed on patients affected by oral cancer, and involve the evaluation and removal of all potentially problematic teeth prior to radiation treatment. Dental implants rely on a titanium screw, functioning as a replacement tooth root, to anchor custom-crafted dental prosthetics below the gum line, for results that are stable and lifelike. Dental implants can be used to anchor everything from a single crown to a full set of dentures, eliminating the inconvenience of removable dental appliances. In addition to root form implants, Dr. Edwards provides subperiostal and transmandibular implants for patients with significant bone loss. Learn more about your dental implant options by contacting Dr. Edwards at his oral surgery practice in New York. Improper alignment of the upper and lower jaws can cause chronic pain, excessive wear of the tooth enamel, and difficulty breathing. When jaws develop at different rates, or have been misaligned by injury, patients can experience difficulty speaking, chewing and swallowing. Orthognathic surgery restores both the function and aesthetics of the jaw, eliminating the appearance of a protruding or receding chin. Oral pathology refers to the diagnosis, treatment and management of diseases of the oral and maxillofacial regions. Because the appearance of abnormal lesions in the mouth may indicate the beginning of a pathological process, and possibly signal the onset of oral cancer, Dr. Edwards performs diagnostic tissue biopsies at his New York practice. For children born with cleft lips and palates, the necessary course of treatment often involves multiple surgeries. With the goal of reducing the space in the lip, restoring muscle and palate function, and providing an aesthetically pleasing shape to the mouth, Dr. Edwards works as part of an interdisciplinary team of medical professionals to address the oral surgery needs of these patients. Since the opening of his Manhattan practice in 2001, Dr. Edwards has been firmly committed to delivering the highest quality of patient care possible. 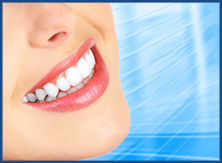 Schedule an appointment to discuss your oral surgery needs by contacting his New York office today.